Jamaican Pirate: One gold piece! This is your treasure, is it. Let's kill him and eat his parrot. 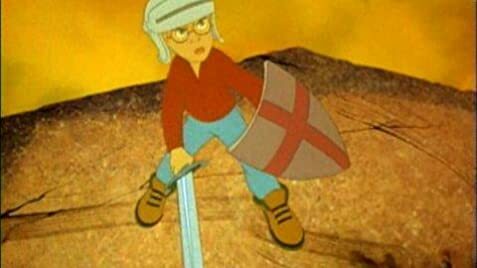 Just because something is part of my childhood doesn't mean it's good, and this movie is really not a great animated film. It's got a nice message, and it looks good, but the premise of jumping from storybook to storybook gets tiring by the end. 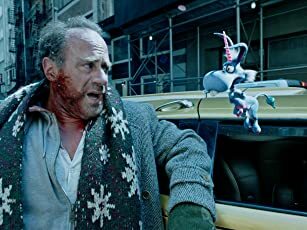 Richard Tyler (McCaulay Culkin) is a scaredy cat who's always getting picked on. On a stormy night he gets stuck in a library, and ends up animated with several book friends. He meets Fantasy (Whoopie Goldberg), Adventure (Patrick Stewart) and Horror (Frank Welker), and he goes through many famous books. The plot is very slim, and kind of just jumps around from book to book, but it actually works very well. This also has a great musical score and it manages to make the movie sad at times. Unlike many animated films, you actually come to like the characters by the end, and that's hard to do. 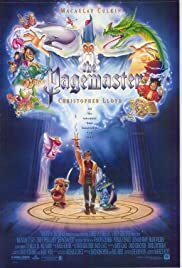 "The Pagemaster" is a very underrated, good animated movie that will appeal to kids and will amuse adults.